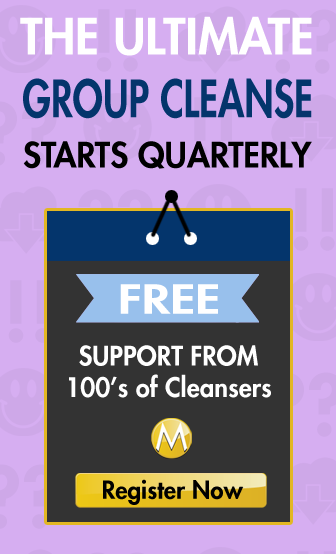 The Master Group Cleanse is a free cleanse community where participants can choose to cleanse with others at the same time. There is not cost for this membership. To participate in Master Group Cleanse – My Experience you must understand and agree to the following simple Terms and Conditions. You waive any responsibility of themastercleanse.org g or administrating officers of any responsibility for your actions or results. You will receive your participation gift book in the form of a Gift certificate from Amazon.com ($10.00 value) – No cash value. Can not be traded or exchanged in any way. You must complete all submissions of your experiences according to the agreed rules in order to be eligible for your participation gift. Special awards will be voted by the general public and particpating members. themastercleanse.org will tally and distribute the awards according the agreed rules and will hold the sole discretion upon the event of dispute. This event can be canceled at any time for any reason with any obligation from themastercleanse.org or administrating officers. The My Master Cleanse Experience Ebook is a downloadable Ebook in PDF format. It can be purchased individually or as part of a membership package. We offer a 30 day refund policy. The My Master Cleanse Experience – Guided Cleanse is 30 day continuity program which includes video training, webinars, question and answer periods, ebooks, and other bonuses. The membership level expires 60 days following the last day of the continuity program. We offer a 7 day refund policy. TheMasterCleanse.org Group is copyrighted and is protected under the US Copyright Act of 1976 and all other applicable international, federal, state and local laws, with ALL rights reserved. No part of this may be copied, or changed in any format, sold, or used in any way other than what is outlined within this website under any circumstances without express permission from TheMasterCleanse.org Group.